Think of all the crappy records your favorite artists put out after rehab. Now think about the people you knew in high school who thought that you hadda be fucked up to make cool music. Okay, and, finally, think about what it might mean that the Silver Jews’ David Berman went through a drug-and-depression darkness, that his wife Cassie had to lock him up in a hotel room while he detoxed off a serious crack binge, that he emerged from behind locked doors clean, sober, and praising God, and that his next record is arguably the strongest, most joyful, and most confident album in the Silver Jews’ sparkling catalog. Recorded with a fourteen-member band which included Will Oldham; Bobby Bare, Jr;, Paz Lenchantin; and longtime Joos collaborators Stephen Malkmus and Bob Nostanovich, Tanglewood Numbers is the product of David Berman’s recovery, a record full of oddball humor, soaring guitars, and bleak imagery. These characteristics have always shared space in Berman’s fall-down lo-fi country, but never before had they gelled into something so self-sure. For all their brilliance, previous Joos records like Starlite Walker and Bright Flight feel stapled together, as if the songs themselves were stopped dead as they began to slip out of Berman’s hands; here, though, he grips them comfortably, driving his massive band through towering arrangements and singing with a fullness of voice he’d never before attempted. Berman has always been a great storyteller, but his voice here is more versatile than before. He whistles and rambles a mysterious tale over “The Farmer’s Hotel” in long, flowing lines. He strips his sentences into packed parataxis over the banjo-hopped “How Can I Love You If You Won’t Lie Down”. He speak-sings simple language in “There is a Place”, a real depression-stomper which culminates in a pogoing Berman chanting “I saw God’s shadow on this world!” over chugging bass. Redemption hasn’t sounded this good since Johnny Cash. I saved that album from being thrown out by the Indie Director at my college radio station in upstate NY. “Farmer’s Hotel” reminds me of driving in my car on Route 17 to and from college and passing by Goshen in (the other) Orange County. Thanks, Justin. 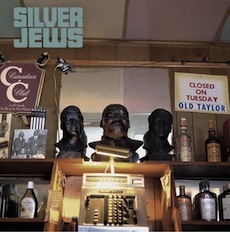 Wouldn’t call American Water “stapled together”…I find it to be the best Silver Jews album and the album that displays the biggest sense of control. Each track is perfectly placed and a tempered tone runs throughout. I definitely feel like you are right with Starlite Walker, but give AW another spin, I think it’s more focused than you give credit for. @ WLFY – note album change. that was editing f up on my part. well, ok, i’ll give another listen too. this was one of my favorite bands, until they finally decided to tour, and put on one of the worst shows i have ever overpaid to see. and then bought their last two records and really yawned. go back and put “bright flight” on for another spin. 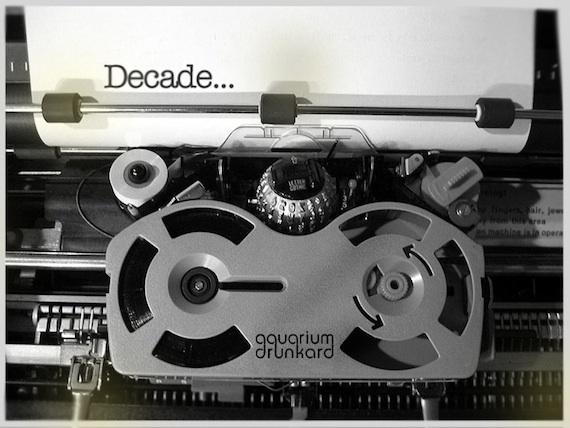 that is a best-of-the-decade record in my book! Oh, cool…I’m with you now. @ xxris – curious, which tour did you see Berman on? I saw the one in 2006 (enjoyed it), but heard his last tour was 10 times better. I saw the Silver Jews on both the 2006 and 2009 tours and while both were great…2009 was mind blowing. I think Berman knew it was the end and all the set lists were littered with all their best songs. Best album of the decade! He will be missed. this sentence actually makes no sense. something isn’t deconstructed by units of time. you mean organized. gathered and digested by and through arbitrary subjection to a criteriology based simply on a uniform unit of time. or something. but ‘deconstructed by units of time’ means NOTHING. just had to say it. i love this record- it is 35 minutes of pure bliss. bringing cassie on board was a wise move, she sweetens what could have been a very depressing record. Only indie hipsters think American Water is the Jews best album! The last 2 Albums have been better than American Water! American Water sounds like a complete mess.